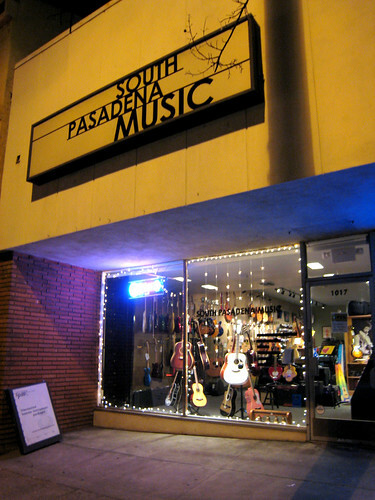 South Pasadena Music feels like a third place. It’s a great place to buy an instrument and to take lessons, but it’s more than a store. It feels good to be there. It feels kind of like a low key community hub. When I walked in this week, they had a copy of the South Pasadena Downtown Redevelopment Plan on the counter, and people (including me) looked at it and got into discussions about it. It felt like something out of a Ray Oldenburg book. Kathy of Aphrodite in Jeans likes it there, too.